Did You Receive A Letter From Your Foreign Bank, Urging You To Report Your Account To The U.S. Government Under FATCA? | TaxConnections is a where to find leading tax experts and tax resources worldwide. Did You Receive A Letter From Your Foreign Bank, Urging You To Report Your Account To The U.S. Government Under FATCA? Since July 1, 2014, the most feared U.S. legislation regarding international tax enforcement – Foreign Account Tax Compliance Act (“FATCA”) – is being implemented by most banks around the world. As part of this compliance, foreign banks from around the world are sending letters to account holders that they believe have, or had, a U.S. tax nexus (or other U.S. connection) requesting information to determine whether such account holders have disclosed their foreign bank accounts to the IRS. The letters from foreign banks generally require an account holder to disclose whether the account has been declared to the IRS through the filing of a Report of Foreign Bank and Financial Accounts (commonly known as the “FBAR”) form and/or a Form 1040 personal income tax return, participation in the various IRS Offshore Voluntary Disclosure Programs, or otherwise. Sometimes foreign banks request that the account holder submit an IRS Form W-9 or W-8BEN, which is generally required to be completed by U.S. account holders for tax reporting purposes. FATCA was signed into law in 2010 and codified in Sections 1471 through 1474 of the Internal Revenue Code. The law was enacted in order to reduce offshore tax evasion by U.S. persons with undisclosed offshore accounts. There are two parts to FATCA – U.S. taxpayer reporting of foreign assets and income on Form 8938 and reporting by a Foreign Financial Institution (“FFI”) of foreign bank and financial accounts to the IRS. It is the latter that is resulting in FFI’s sending out that dreaded letter to suspected U.S. account holders requesting U.S. taxpayer identification and information (referred hereafter as the “FATCA letter”). If an FFI refuses to do so or otherwise does not satisfy these requirements (and is not otherwise exempt), U.S.-source payments made to the FFI may be subject to withholding under FATCA at a rate of 30%. Note that FATCA information reporting and withholding requirements generally do not apply to FFI’s that are treated as “deemed-compliant” because they present a relatively low risk of being used for tax evasion or are otherwise exempt from FATCA withholding. As of July 1, 2014, FATCA went into full effect, which means that FFI’s now have to report the required FATCA information to the IRS. Many FFIs are making a full effort to comply with FATCA. As part of this effort, FFIs around the world have been sending out “FATCA letters”. A FATCA letter is basically a letter from your bank or other financial institution which introduces FATCA to their customers and asks them to provide answers to a various set of questions aiming to find out information specific to FATCA compliance. Often, instead of asking all of these questions directly a FATCA letter would simply list out a series of forms that contain these questions such as IRS Forms W-9 and W-8BEN. The information furnished by the customer to the bank would then be used by the bank to report information on the customer’s foreign accounts to the IRS. If the customer refuses to answer the questions or provide the necessary forms, the financial institution would often close the account and report it as a “recalcitrant account” to the IRS. A FATCA letter may have a very profound impact on a U.S. taxpayer with foreign accounts which were not properly disclosed to the IRS (usually on the FBAR and/or Form 8938). First, a FATCA letter puts the taxpayer on notice that he is required to report his foreign financial accounts and foreign income to the IRS. This may have a big impact on whether the taxpayer can later certify his non-willfulness for the purposes of the Streamline Filing Compliance Procedures. These letters are not something to balk at. Generally, receiving this letter is an indication that your foreign bank is preparing to release your information to the IRS. Once that is done, the government will look to see if your account ever had in excess of a $10,000 balance. If it did and you did not report it on an FBAR or on your federal income taxes, the case will likely be referred to the IRS Criminal Investigation Division. At that point, the government will begin to build a case against you. A U.S. citizen can be sentenced up to five years in prison for each year that they willfully failed to file an FBAR and can be penalized up to 50% of the balance of the foreign account for each year that they willfully failed to report (up to 250% of the account’s balance). The civil penalties alone can easily reach double the amount of the balance of the account in question. Why You Should Do Something About it Before it’s Too Late? If you have received this type of letter from your foreign bank, it’s not too late. Until the government receives your name and account information and chooses to act on that information, you have the opportunity to avoid the possibility of time in a federal prison and reduce the potential civil penalties for failing to report your foreign account. If you have never reported your foreign investments on your U.S. Tax Returns or even if you have already quietly disclosed or in 2012 OVDI, you should seriously consider participating in the IRS’s 2014 Offshore Voluntary Disclosure Program (“OVDP”). Once the IRS contacts you, you cannot get into this program and would be subject to the maximum penalties (civil and criminal) under the tax law. Taxpayers who hire an experienced tax attorney in Offshore Account Voluntary Disclosures should result in avoiding any pitfalls and gaining the maximum benefits conferred by this program. US expats have local accounts, not foreign accounts. 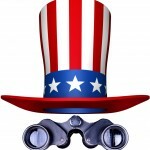 On the other hand, check out the TaxConnections FATCA Tracker (I see you are a member of the group) to read the recent Senate Finance Tax Reform proposal and resulting media articles. Perhaps the US will wake up (although we realize this is still only a proposal, but a good start at further awareness). Or perhaps the US will continue its punitive citizenship-based taxation for which FATCA and other countries’ local *foreign financial institutions* and tax agencies, as arms of the IRS as legislated by extra-territorial US FATCA law, is the enabler. FATCA resulted from the HIRE Act legislation — that apt description for keeping US tax and accounting professionals in the business of *helping* US expats come into and stay in compliance — is not lost on us. If US-defined *US Citizens and US Persons* plan to return to the US to live, that is one thing. Quite another for those who do NOT plan to do so and get services for their taxes paid in countries in which they choose to live, work, pay taxes, raise their families, save for their retirements and want to be left alone so they can AGAIN get back to being contributing members of the societies.